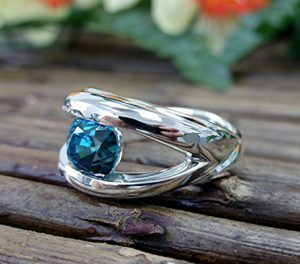 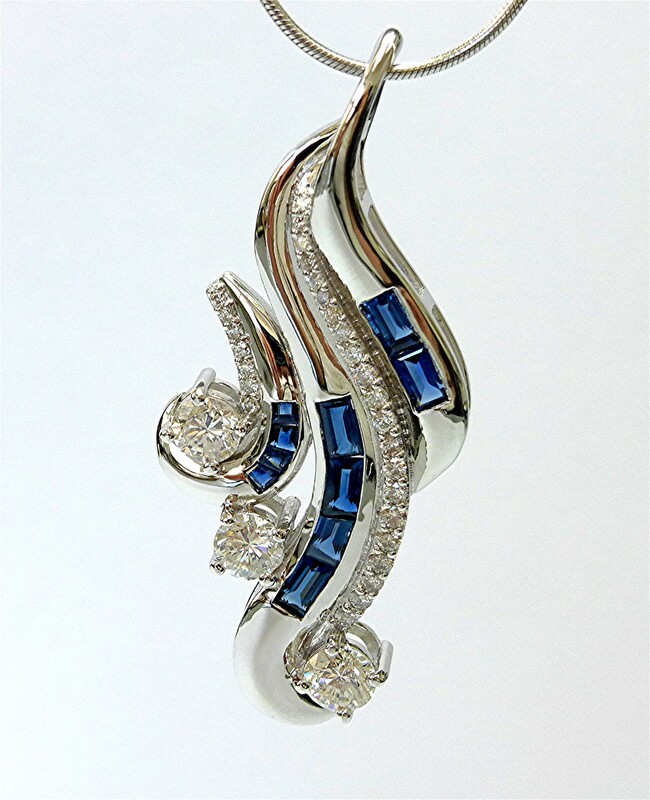 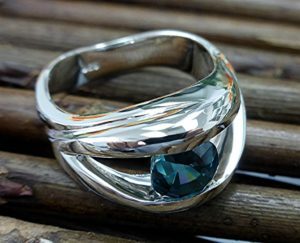 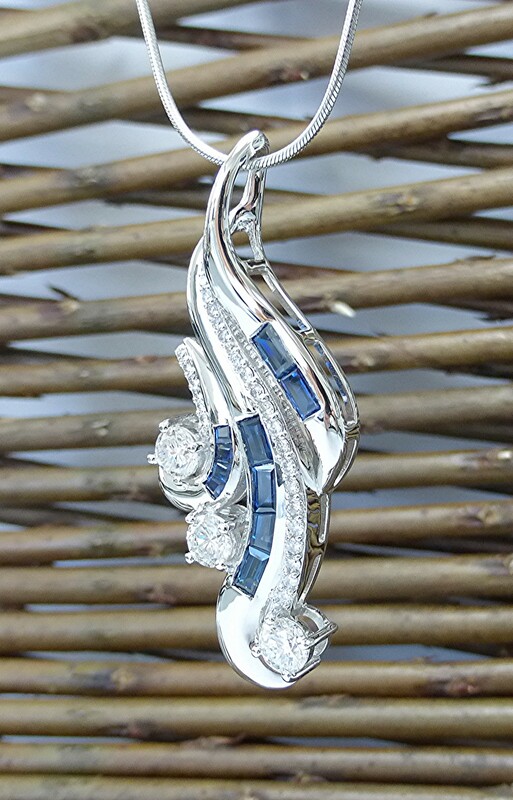 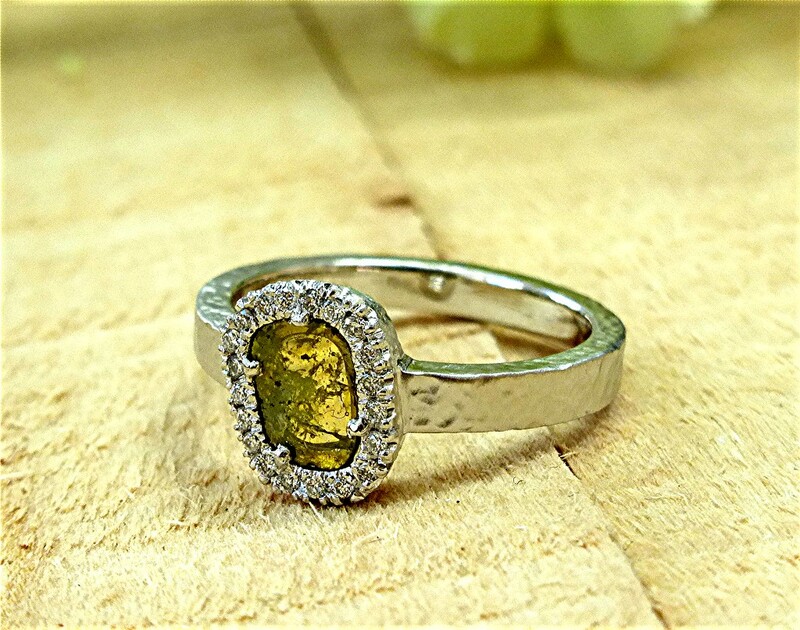 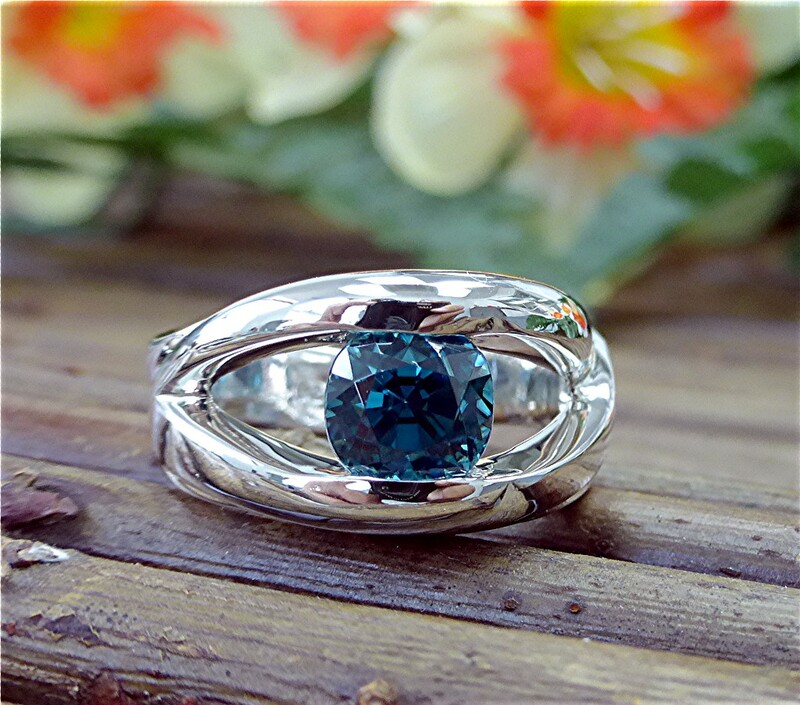 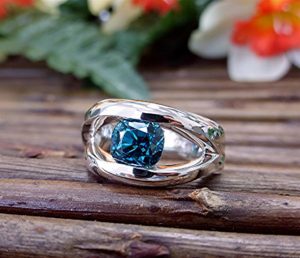 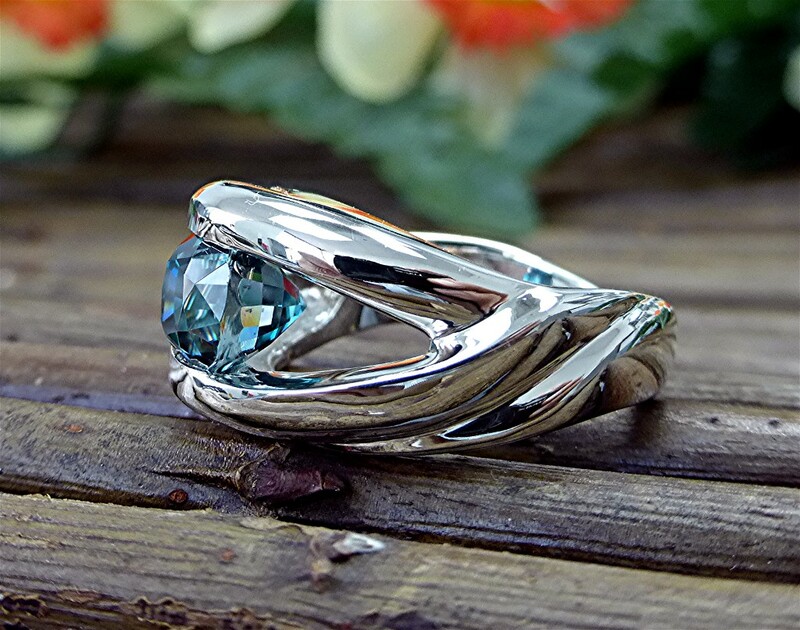 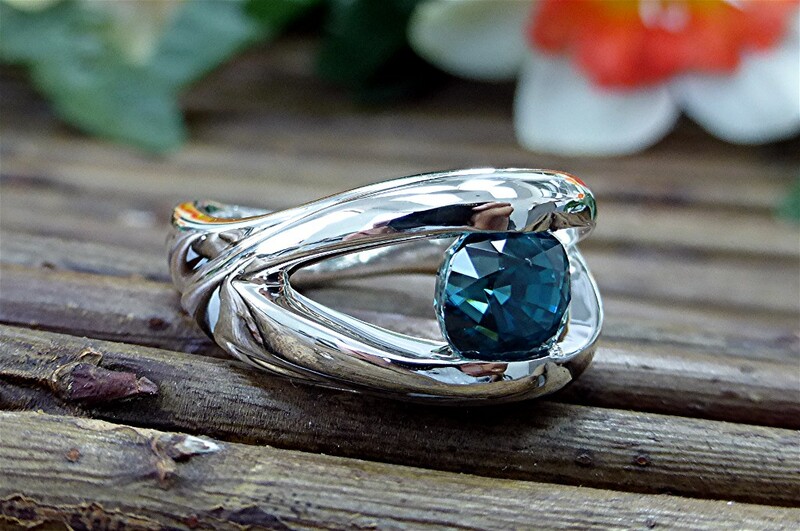 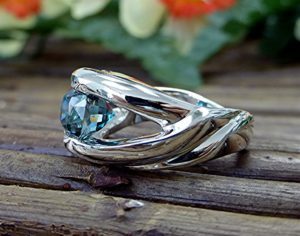 Center is 7 mm blue zircon mounted in Deox Silver ring. 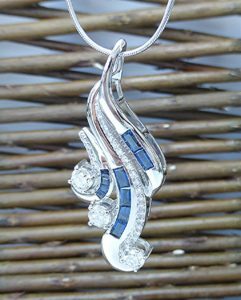 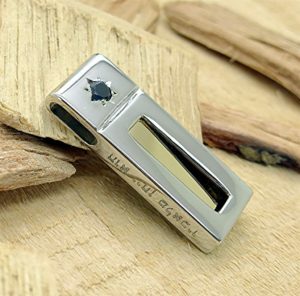 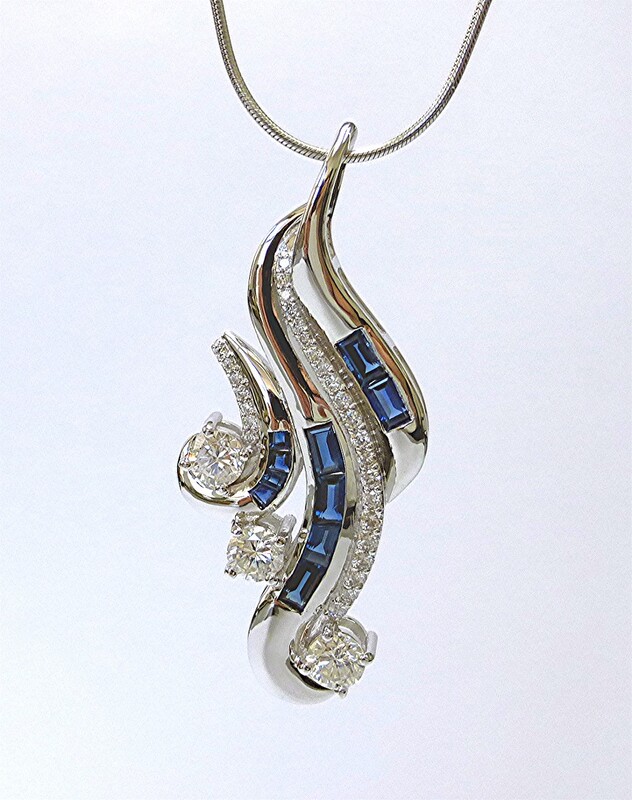 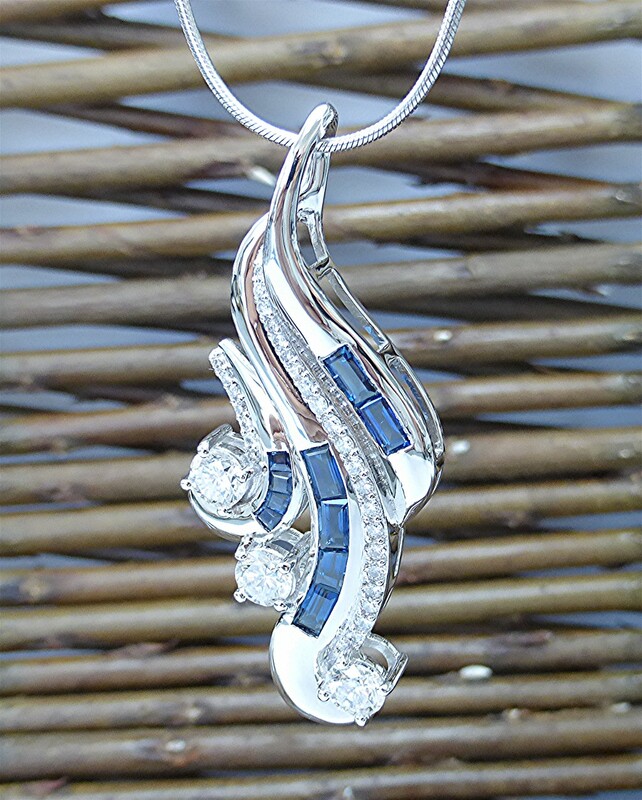 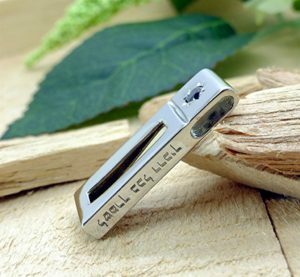 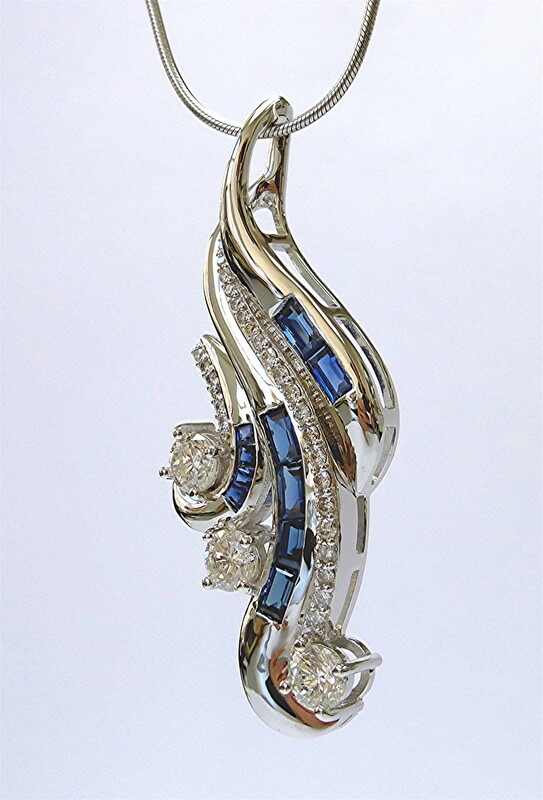 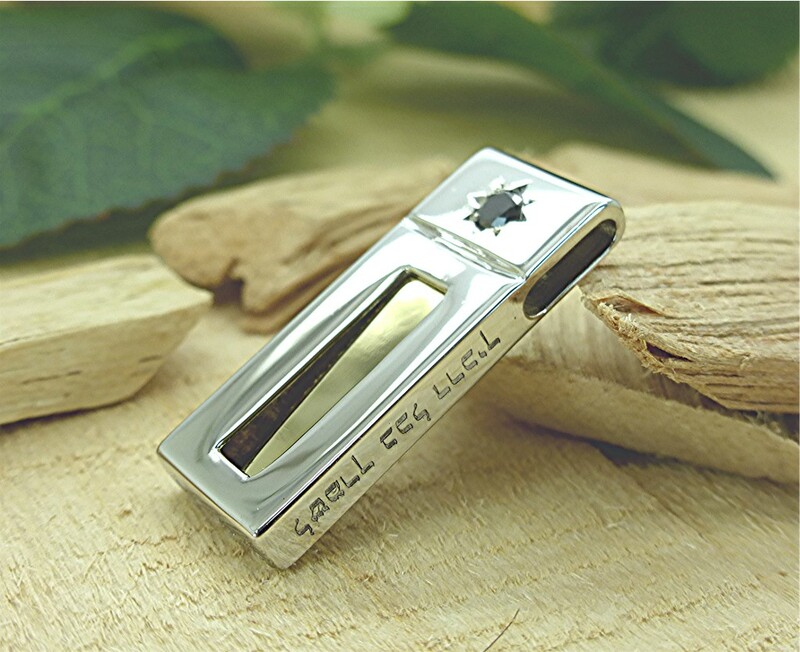 A 35-millimeter-long white gold pendant with Hebrew traveler’s prayer engraved and window to yellow gold metal and black diamond. 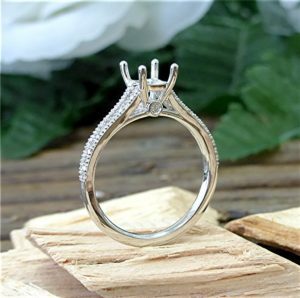 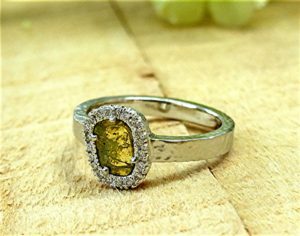 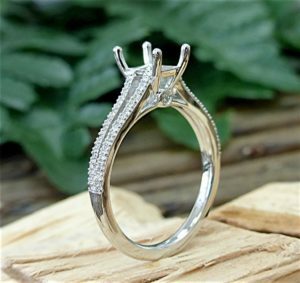 18k white gold mounting with 52 beads set and 2 bezel set round brilliant cut for total of 0.26carat, finger size 8.25. 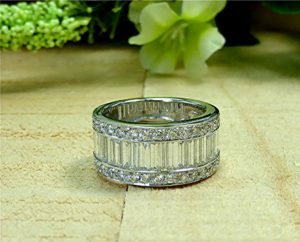 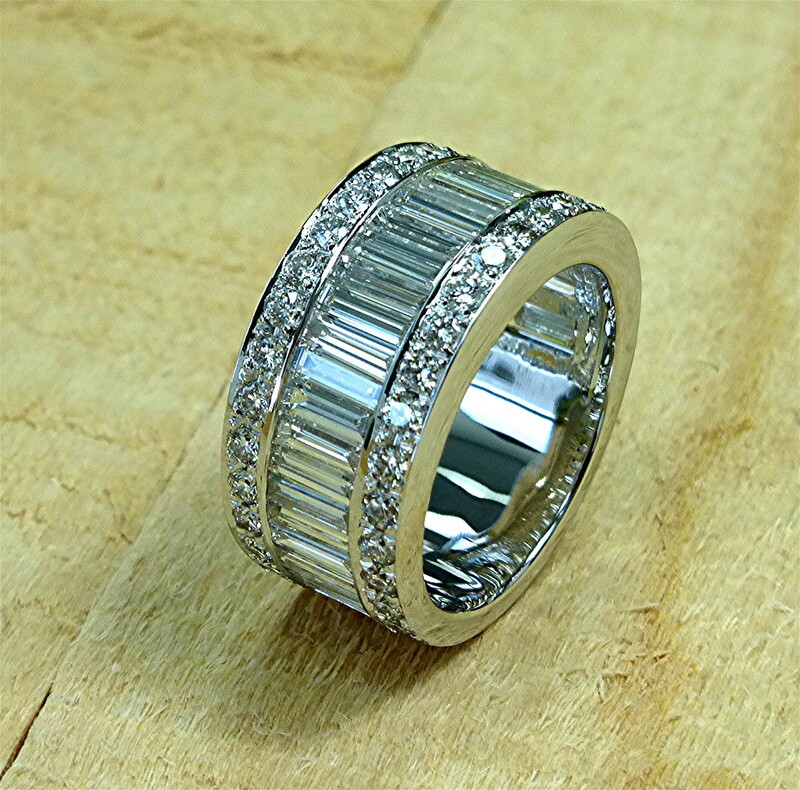 Center is designed for 6.65×5.25×3.8mm emerald cut diamond. 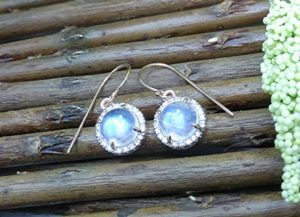 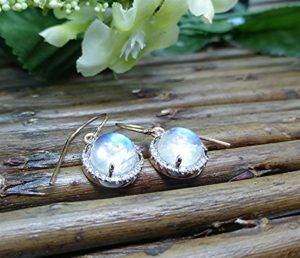 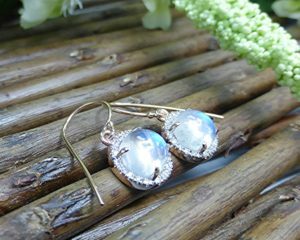 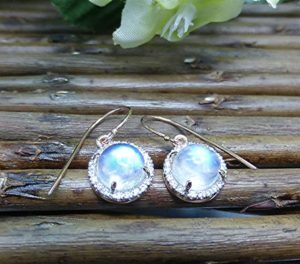 Center stones are 8 millimeters round cabochon cut moonstone for total of 5.02 carat. 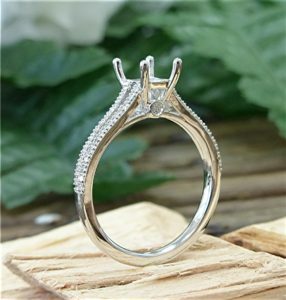 surrounded with 40 round brilliant cut diamonds for total of 0.26ct. mounting and French hook are 14k premium color rose gold. 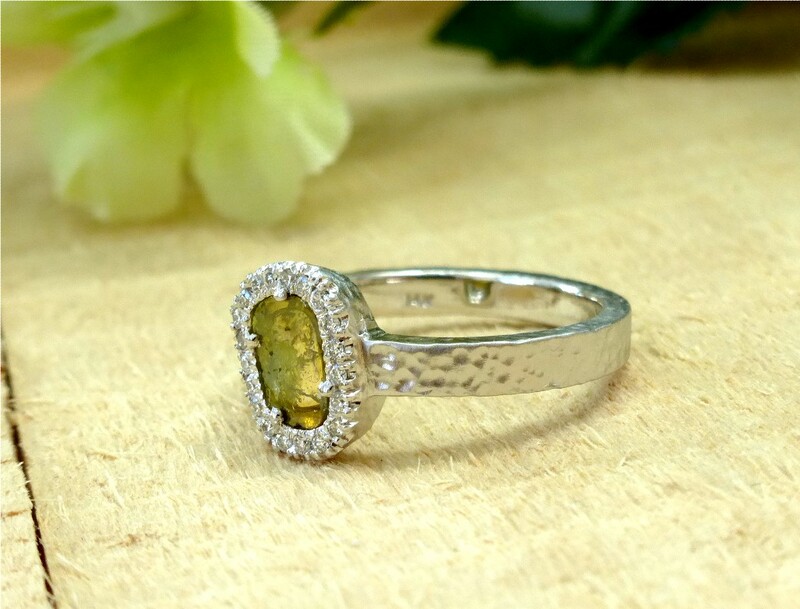 Center stone is 0.26ct. 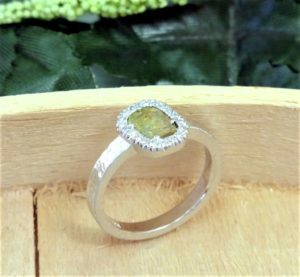 green diamond slice, surrounded with 20 round brilliant cut diamond totaling 0.15ct. 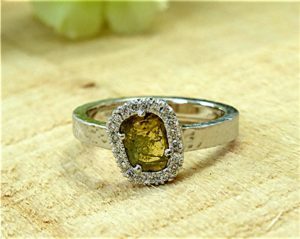 (grand total 0.41ct.) 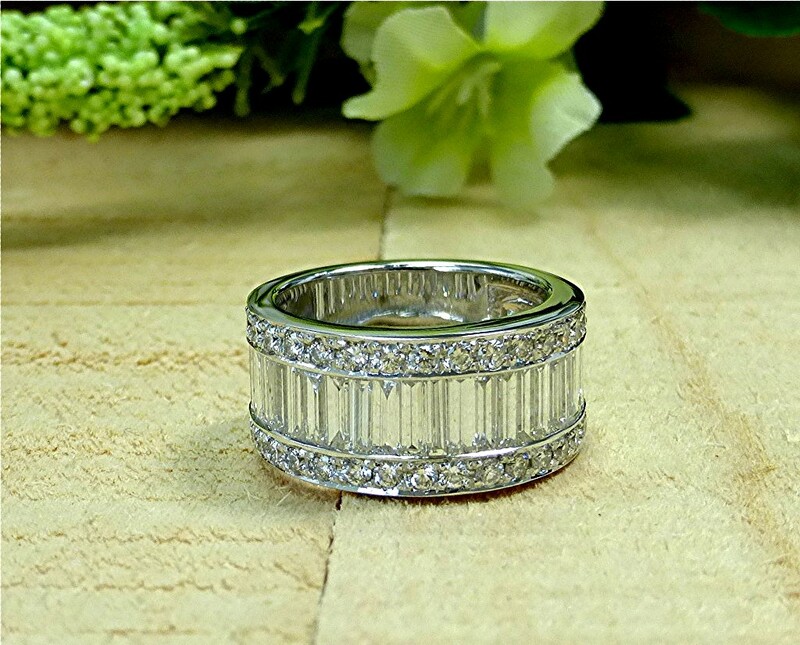 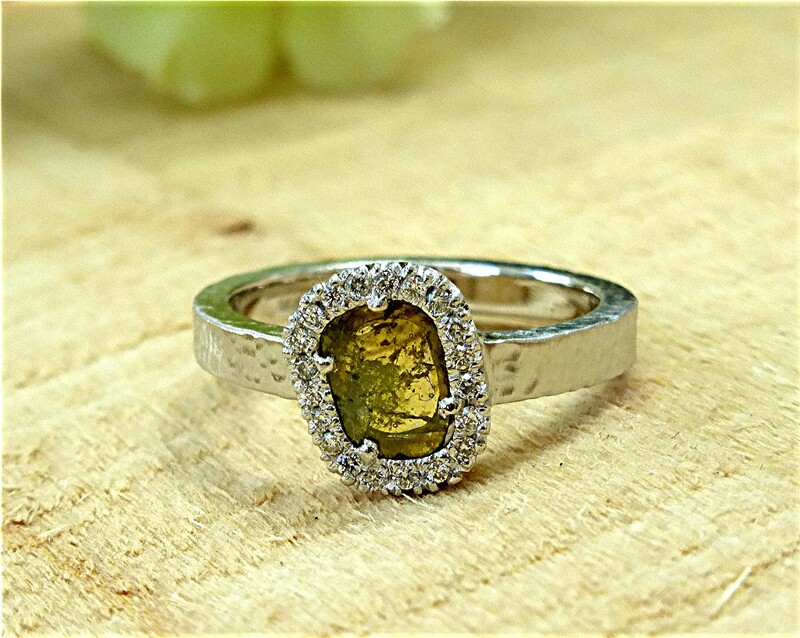 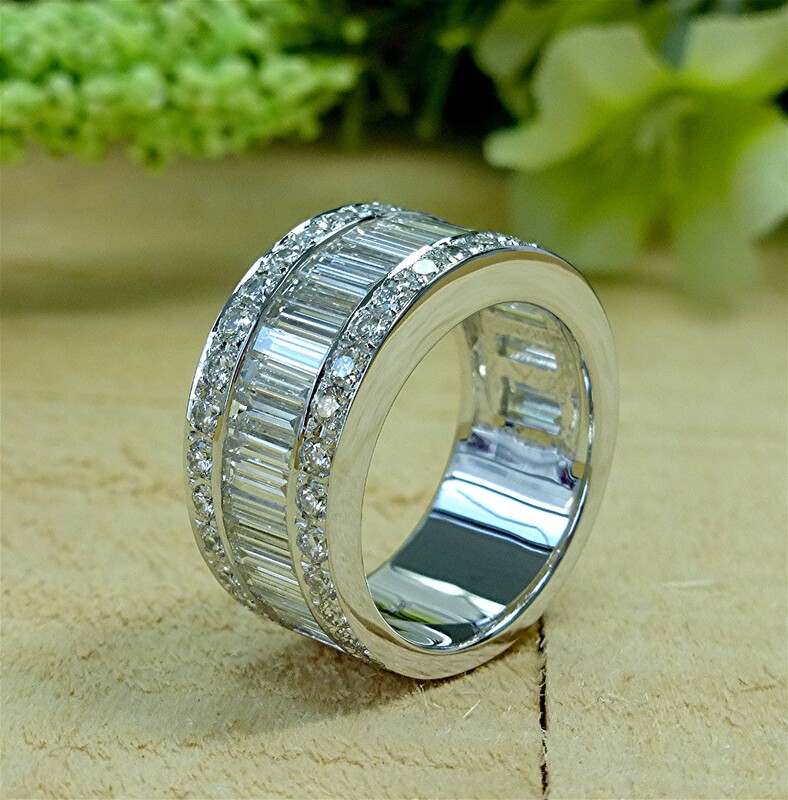 set in 14k white gold with hammered finish. 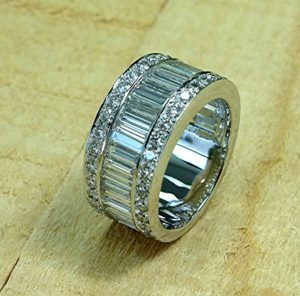 two side rows have 44 round brilliant cut diamonds, G color SI1, VS2, for total of 1.1 ct. with bead setting. Center row is channel set with 30 straight baguettes G, VS for total of 2.93ct. (Total Diamond weight 4.03ct). 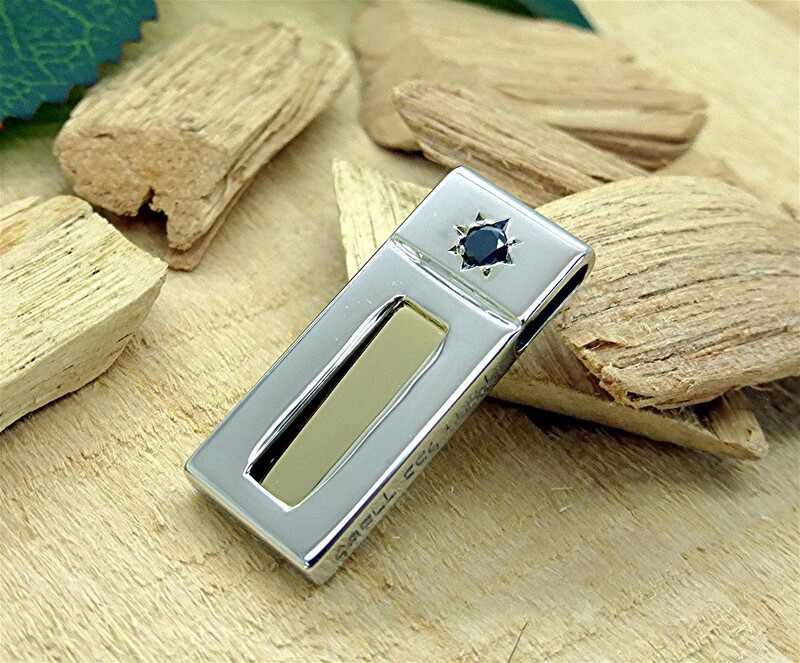 Mounting is 14k white gold.